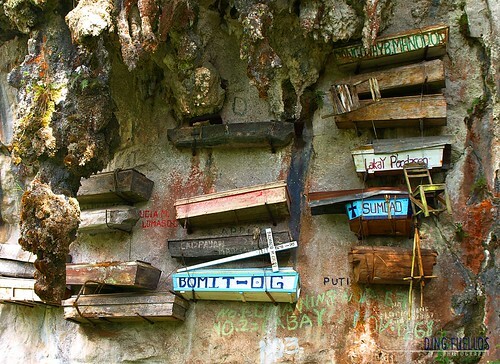 ASIDE FROM the ever-changing cotton clouds and fog that envelope its evergreen mountains, Sagada is known for its mystical unique burial ritual—its hanging coffins placed on the limestone cliffs, and those log coffins piled up in the mouth of the caves. 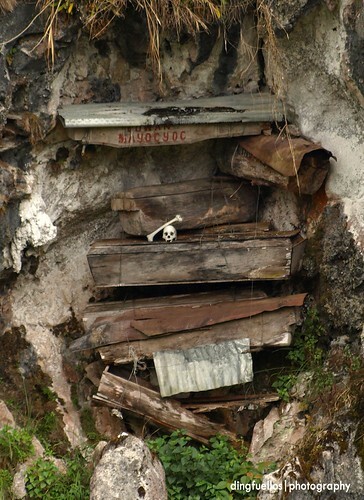 Interestingly, the practicing of hanging coffins can also be found in various locations, including China. Instead of being placed into the ground, the coffins are hung or neatly piled inside the caves or on the face of the cliffs, together with the rest of the coffins of their ancestors. This has been practiced for over 2,000 years but was somehow curbed after the introduction of Christianity by the Episcopalian church, primarily due to health and hygiene. While it is still tolerated by local health officials, the practice depends on the cause of death. Those who passed away due to communicable diseases cannot be hung to prevent the spread of disease and infection. 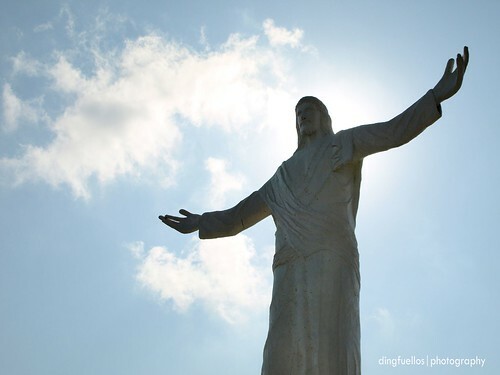 According to the local tourist guide, the burial site is off-limits to tourists for about 30-45 days after the interment, again for hygiene and sanitation reasons. The colorful coffin in the photo (above) is the newest addition to the hanging coffins in the burial site they call Echo Valley. Many of the locations of the coffins are difficult to reach (and obviously should be left alone out of respect) but can be appreciated from afar. However, families who still follow the tradition or this burial ritual are the families who belong to a Kadangyan clan and especially if it was the last request of the dead. One is considered Kadangyan if he or she belongs to a clan of traditional leaders, usually a chieftain and mambunong (high priest), who have a high and respected position in the community, and those who are rich. 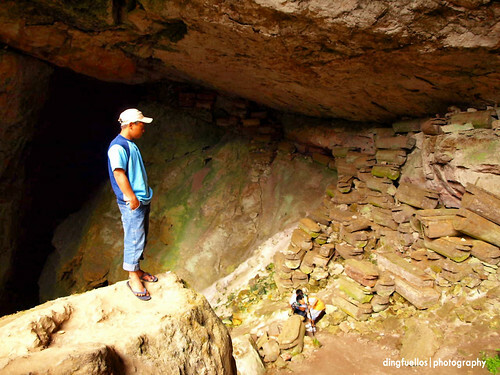 According to the local guide, only the dead Kadangyan has the privilege of the being hung on the cliffs. The higher it is hung, the higher is his/her social or economic rung in the community. 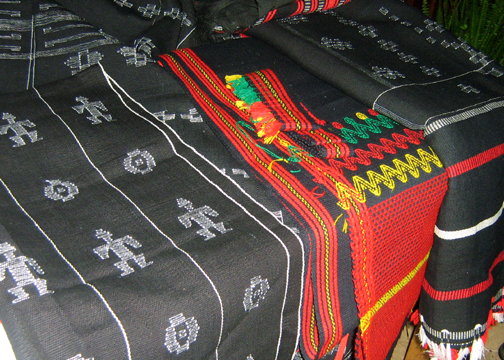 In my work with the Cordillera people, I have learned that even a Kadangyan has an exclusive burial cloth. No other ordinary woven cloth is allowed as it is considered sacrilege. A Kadangyan will always be Kadangyan even after the last of his breath. Today, some of the coffins are well over a century old, but some have deteriorated and fell off. What we see now are some of the new arrivals that replaced those which have started to give in to the elements. As mentioned in “Dark Tourism: the Philippines in Focus” hosted by Gael Hilotin of The Pinay Solo Backpacker .